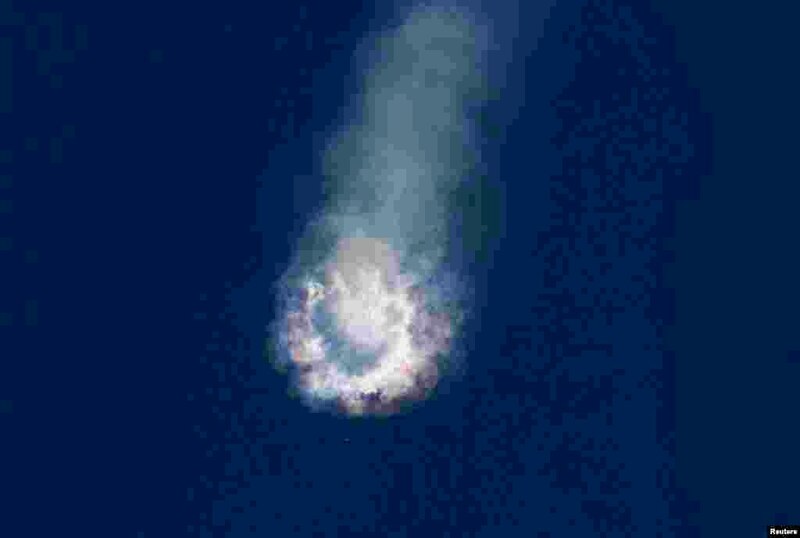 1 An unmanned SpaceX Falcon 9 rocket explodes two minutes after liftoff from Cape Canaveral, Florida, destroying a cargo ship bound for the International Space Station, NASA said. 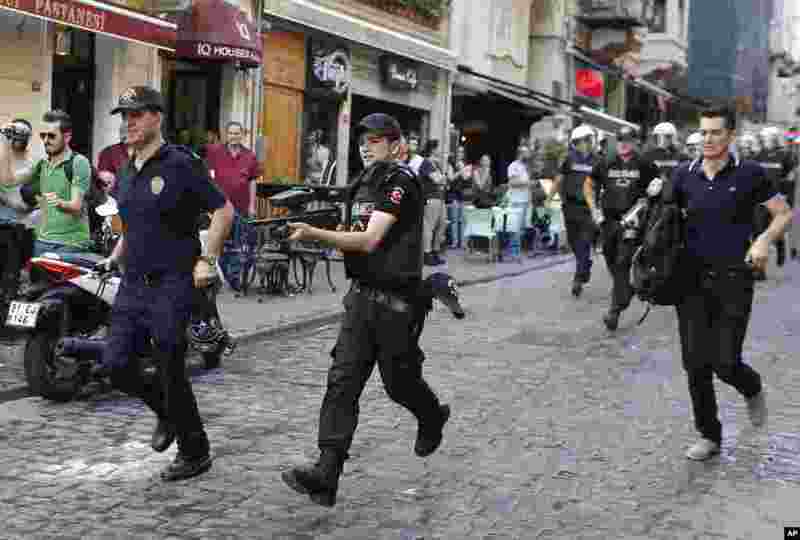 2 Turkish police, one holding a rubber bullet rifle, center, run to disperse participants of a Gay Pride event in support of Lesbian, Gay, Bisexual and Transsexual (LGBT) rights in Istanbul. 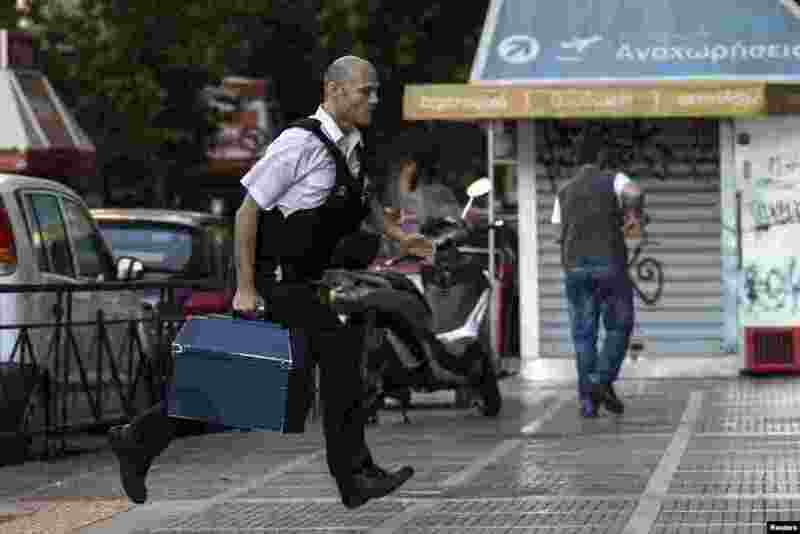 3 A security worker brings money to a National Bank branch in Athens, Greece. Greece's European partners shut the door on extending a credit lifeline to Athens, leaving the country facing a default that could push it out of the euro and cause ripple effects across the European economy and beyond. 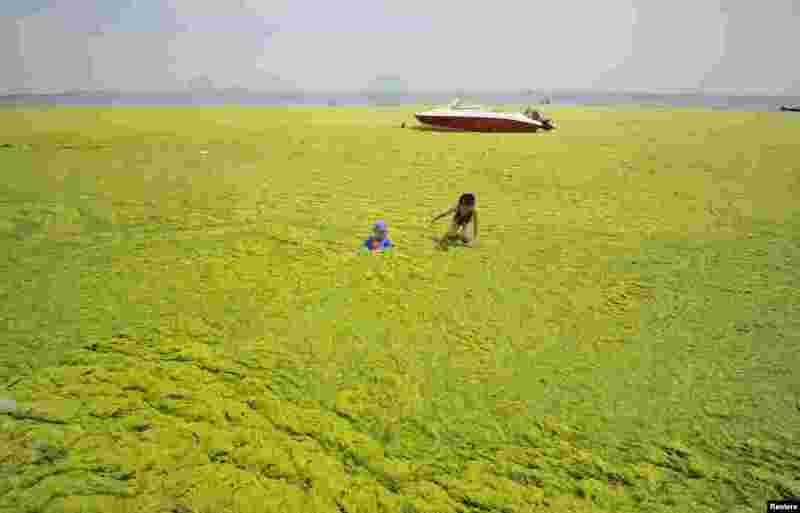 4 Children play at an algae-covered beach in Haiyang, Shandong province, China.